More than 60 brewers all competed for top honours in the eight categories, sponsored by Multi-Color Corporation (MCC): Best Lager, Best Hoppy Beer, Best Dark Beer, Best Speciality Beer, Best Wheat Beer, Best Cider, Best Stand, and the most prestigious award, Best Beer on Show. 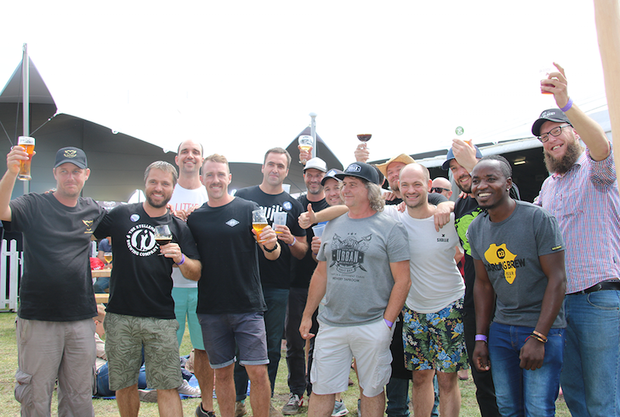 The judging process was carried out by the independent group South Yeasters, a homebrewers club consisting of beer enthusiasts based in Cape Town. All judges were Beer Judge Certification Program (BJCP) qualified – an internationally recognised program. All the winning breweries have each won a trophy and bragging rights. MCC has sponsored each brewery with branding in the form of stickers, which they’ll be able to use on all their future brews in their winning categories. Electrical Industries sponsored a countertop tap unit to the value of R10 000 to Urban Brewing Company, who won Best Lager on Show. 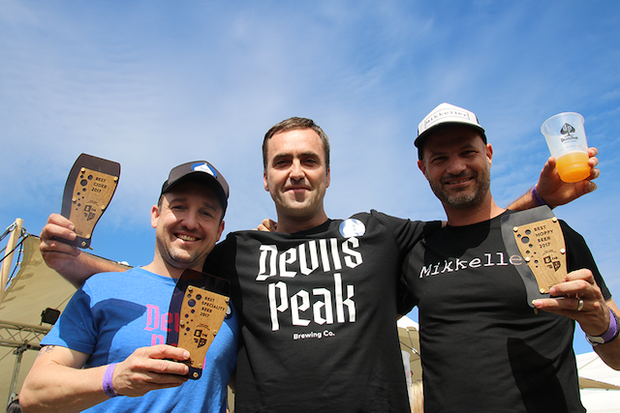 Cape Town Festival of Beer awarded Buurman Brouwerke with the Festival’s Best Stand award, and they have won free entry into next year’s Festival. After winning Best Stand, Eben van Niekerk from Buurman Brouwerke spoke to Dan Nichol saying that it was important for them to stand out this year. “We were given the opportunity to show off this year and we decided to give it our all, and it paid off in the end,” van Niekerk said. Keep an eye out on the official Cape Town Festival of Beer Facebook page for all the pictures from the weekend.